Singapore’s best known pre-school brand is now at your doorstep! 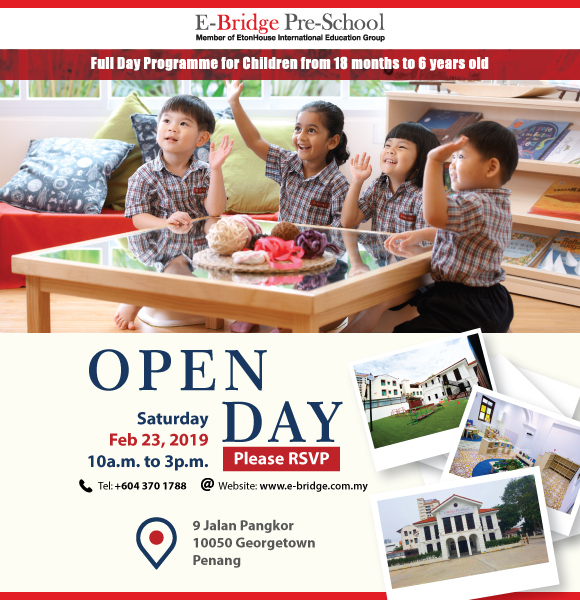 Join us at E-Bridge Pre-School’s Open Day in Penang. Saturday, 23 February 2019 | 10a.m. to 3p.m. E-Bridge is part of the EtonHouse International Education Group that has more than 100 schools in 12 countries. Come and discover and experience for yourself why E-Bridge is the best choice for your child.